Laser Hair Removal works on the premise that light is attracted to the pigmentation in the base of the hair follicle. When the light from the laser enters the hair follicle it will destroy the base of the hair using a quick burst of heat. This is an effective way to destroy unwanted hair while keeping the skin safe. * There are three stages of hair growth. During the anagen growth stage, the laser will penetrate with enough heat to be effective. Most clients will receive 70 to 99% of the hair diminished. * Any hairs that may be dormant over time can be treated with a maintenance treatment every 5 to 7 years. At AFYA Skin and Body Laser Clinic in Guelph we treat all areas of the face and body with our laser hair removal service. Depending on your particular growth cycles of your hair, you may need between 5 to 8 treatments. * Before your treatment you will want to avoid waxing, tweezing and threading for 1 to 4 weeks before your session. Immediately before coming in, it is suggested to shave the area down to the skin’s surface. This allows for the most comfortable treatment. During the laser hair removal treatment you will obtain small red bumps from the heat absorption. These will last between 2 to 24 hours. Within two weeks after the treatment, a majority of the hairs will fall out, leaving your skin smooth until your next session. 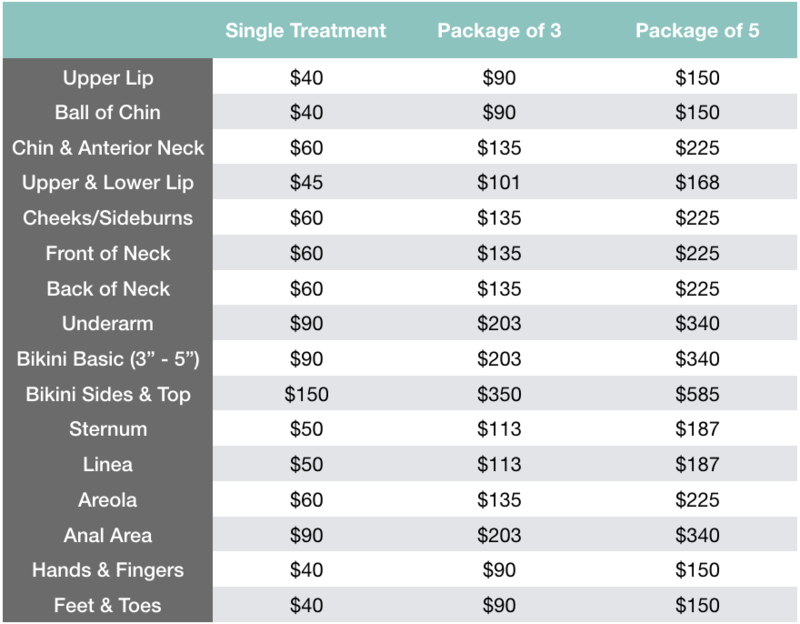 For areas of the face we recommend booking every 4 to 6 weeks. For areas of the body we recommend booking every 6 to 8 weeks. The laser hair removal is sensitive to freshly tanned skin. We suggest avoiding sun exposure for 2 weeks prior and 2 weeks post treatment. 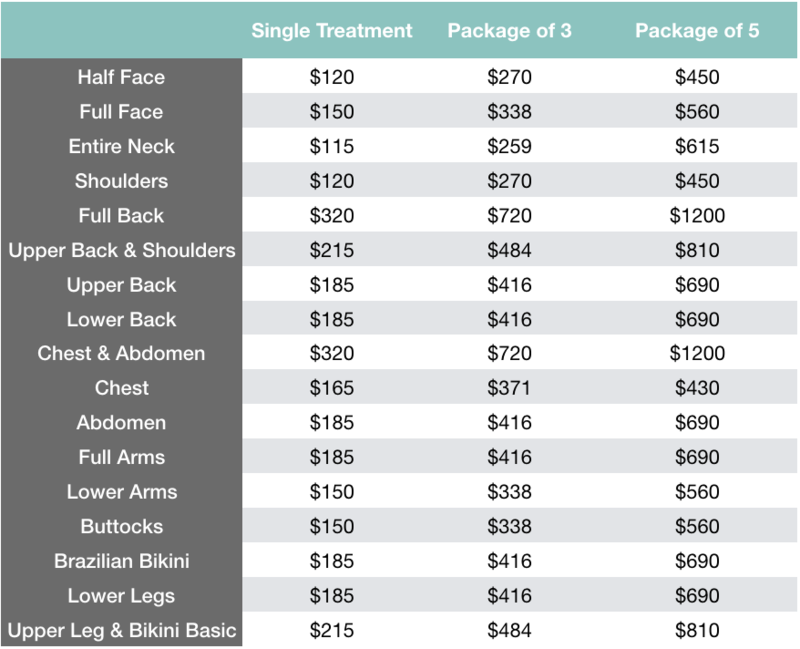 Don’t let price deter you from achieving your healthy skin and body goals. Call us today for a customized treatment plan quote and financing options. Interested in Laser Hair Removal? Find out how you can pay less and get the most with our new membership program!